Billed as a “personal cameraman,” a New Zealand company called Quebee has created a new product that’s designed to be used in front of it, not from behind. 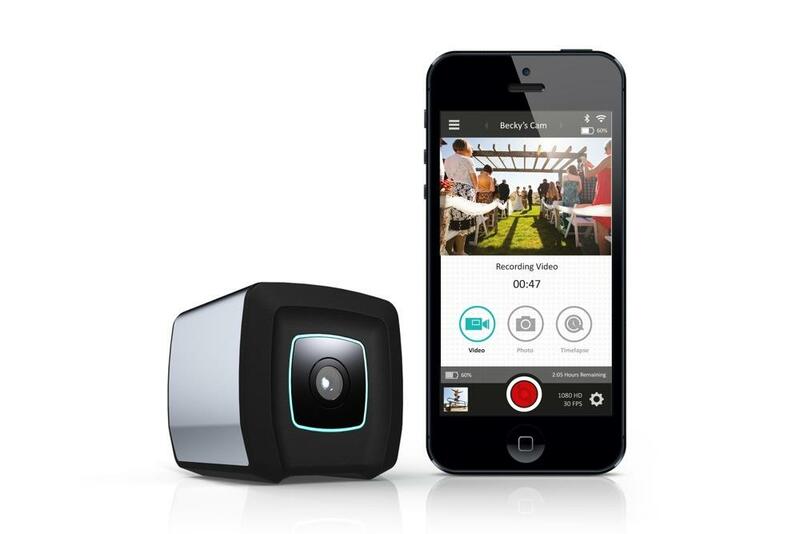 Simply place the 2-1/6-inch-cube-sized device anywhere or on a tripod, push the button, and forget it. The camera shoots video in Full HD and works with a companion smartphone app when you want greater control of the camera or manage the content captured. Like the concept the Quebee camera itself is equally simplistic. It has a durable construction with a water-resistant housing. Built-in is a wide-angle lens, Wi-Fi and Bluetooth antennas, mini USB port for charging and connecting to a computer, tripod mount, microphone, speaker, and status lights. To use, press the button and it’ll shoot five hours of continuous video or two days of time-lapse. With the app you can live-stream the video being shot, view recorded video and photos, control multiple Quebee cameras, upload and share, and adjust settings. But the point of the Quebee is that you can use it without hassle, although the minimalist design means you won’t be able to frame a shot without using the app. Quebee is also working on offering cloud storage support and editing. You’re probably asking, how is it any different from a POV camera? Well, it’s not unlike simple set-it-and-forget-it cameras; you could set a GoPro Hero to do the same thing. But the Quebee is targeting the everyday videographer who is shooting videos with a smartphone, but, as the messaging suggests, the Quebee wants you to be in the picture too, using a product that isn’t complicated. The one intriguing application is that you can set multiple Quebee cams to shoot simultaneously from different angles. The Quebee is running a Kickstarter campaign to help fund manufacturing. There’s 15 days left as of today, and it has reached nearly $50,000 of its $100,000 goal. To get one, pledge at least $149. Once the project is funded, expected delivery is September 2014 – which seems like a long wait, and could allow competing products to steal Quebee’s steam or for improved technology to become available.